Founded in 1867, Boston Conservatory at Berklee is the nation’s oldest and most historic performing arts conservatory that offers fully accredited undergraduate and graduate degrees in music, dance and theater. Nearly 150 years after its founding, the Conservatory continues to be an international leader in performing arts education. 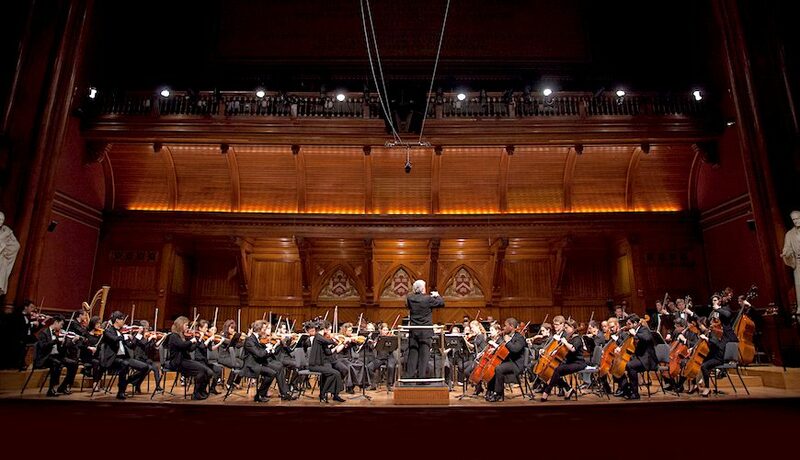 As the nation’s only interdisciplinary conservatory with music, dance, theater and opera, The Boston Conservatory offers a truly unique learning environment, rich with opportunities not only to excel in standard performance mediums, such as orchestral and chamber music, but also to collaborate with singers, dancers and actors in creating the cutting-edge works of tomorrow. In the 2016–2017 season alone, the Conservatory premiered more than 260 new works, reinforcing the school’s reputation as a new music powerhouse. This support of new music and creative experimentation attracts renowned artists from all over the world giving students first-hand training with today’s hottest music professionals. Additionally, the Conservatory’s music programs are thoughtfully designed to give students small class sizes, personalized instruction, wide-ranging performance opportunities and robust classroom training that expands into less conventional areas of study, such as Alexander Technique, improvisation and career skills. The school’s entrepreneurship-focused coursework and extracurricular opportunities explore a variety of important topics, such as business basics, grant writing, commissioning new works, effective digital portfolio building and marketing fundamentals, providing students with the tools and skills needed to be a successful 21st-century musician. Please send me more information about scholarships, applications, and auditions for music students at Boston Conservatory at Berklee. Your name and email address are held in strictest confidence by MajoringInMusic.com and Boston Conservatory at Berklee... they will not be shared with anyone else.